The debate between surgical and non-surgical facial cosmetic procedures has never been stronger than it is today, as both options have shown to produce equally positive and rewarding results. Injectable fillers and facelift surgery can both remedy aesthetic insecurities about one’s appearance, but these procedures address facial aging in different ways. Facelift surgery is invasive and requires some downtime, but patients who opt for fillers can resume their daily routine immediately after treatment. 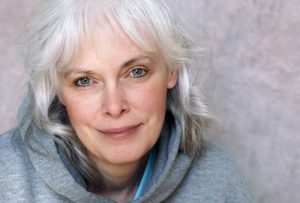 Facelift surgery candidates are generally in their 40s or older, while patients who choose fillers vary among all ages. When it comes to facial cosmetic procedures, one option is not inherently better than the other. Instead, they are each designed to target and treat different aesthetic concerns. It all comes down to finding out which is the best procedure for you. One of the top reasons that patients turn to cosmetic improvement is to combat the most noticeable signs of aging. These may include wrinkles, fine lines, deep creases, and jowls. Facelift surgery has always been the gold standard for correcting sign of aging in the lower face. This procedure tightens lax skin and muscles on the lower and mid-regions of the face utilizing various techniques. Wrinkles are smoothed, jowls are lessened, and facial muscles are returned to their original positions. This procedure also removes any excess sagging skin that may have developed, and it addresses some of the underlying causes of facial aging by lifting the internal features. Facial fillers also address facial aging, but they cannot provide the same level of correction as facelift surgery. Just as their name suggests, fillers add volume to the face. They treat wrinkles and deep creases by filling them in. Fillers cannot, however, correct skin laxity or alter the internal structures of the face. Injectable filler treatment is not a surgical procedure and, therefore, cannot remove anything. While injectable fillers are still useful in treating minor to moderate signs of facial aging, facelift surgery can produce more dramatic improvement. Another reason people seek cosmetic treatment is to correct hollowed features. As people age, they lose natural facial fat and volume in their cheeks, in their lips, and around their mouths. This can create a sunken and older appearance. Injectable fillers can restore youthful volume and enhance facial shape and contour. Fillers add volume to areas of the face that have either recessed or never had any volume to start with, resulting in a refreshed, attractive, and sculpted appearance. Facelift surgery, on the other hand, cannot create the volume that was not originally there. Fillers have recently gained popularity for their ability to enhance the size and shape of the lips, which allows patients to attain the luscious pout that is currently all the rage. Facelift surgery cannot do that or replenish lost volume in the cheeks. Stem-Cell Enhanced Facelift: This procedure is ideal for patients who want to correct both skin laxity and volume loss. The stem-cell enhanced facelift combines facelift surgery with patient-harvested fat that is injected into recessed areas of the face. The stem cells help rejuvenate the skin from the inside out, stimulating natural cell regeneration for lasting results. Suspenders Facelift: This technique utilizes the patient’s own facial tissue to alleviate tension on the facelift incisions. The “suspenders” created using these facial tissues also offer additional support to the facial structure. As a result, the suspenders facelift delivers stunning facial rejuvenation with minimal scarring. Adjustable Facelift: Patients who want to avoid undergoing a full second facelift in the future can benefit from the adjustable facelift. 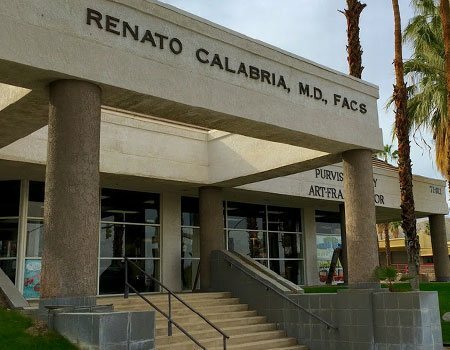 This procedure allows Dr. Calabria to reposition the facial tissues and address aging following an initial facelift without causing the same amount of trauma to the face. Facial fillers are temporary solutions. The body will naturally absorb the filler material over the course of a few months. While injectable fillers can be repeated as desired, they will never be permanent. Facelift surgery, on the other hand, will last much longer. Although facelift surgery will not stop the natural progression of aging, the results will remain noticeable. When choosing between these two options, think about this: Are you looking for a fix for a couple of months, or would you rather have a procedure that will last several years? Both fillers and facelift surgery can help you achieve the confidence-boosting results you desire. To learn more, or to schedule a consultation, contact Dr. Calabria today by calling (760) 836-0077.